The Breitling Watch Source Forums • View topic - No more wings logo. I was way ahead on this one! No more wings logo. I was way ahead on this one! Post subject: No more wings logo. I was way ahead on this one! 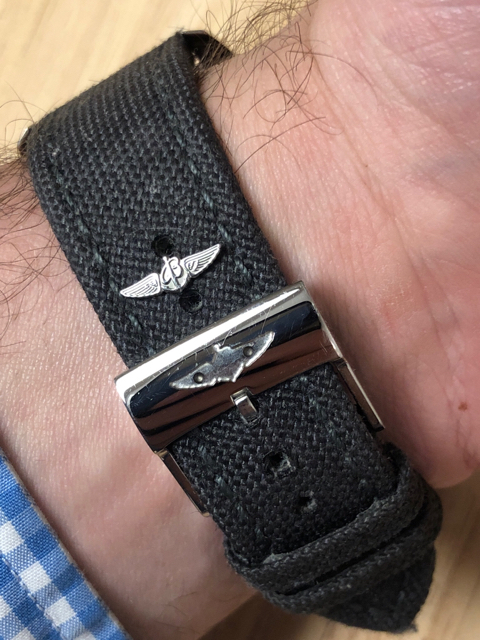 I found in my drawer a strap that doesn’t get the wrist time it should because the wings logo fell off about 18 months ago. I guess I was ahead of the curve on this one, but since no wings logos are in, I think I’ll start wearing it again! Post subject: Re: No more wings logo. I was way ahead on this one! We need to start buying the same stock you do!